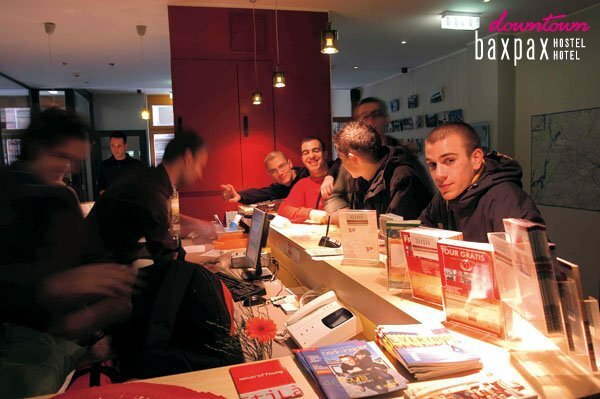 Baxpax Downtown Hostel Hotel Berlin offers you the best of both worlds - the comforts of a hotel, with the atmosphere of a hostel. The rooms are spacious, bright and well equipped with free WiFi throughout the building. We offer a variety of accommodation to ensure you'll find exactly what you're looking for. 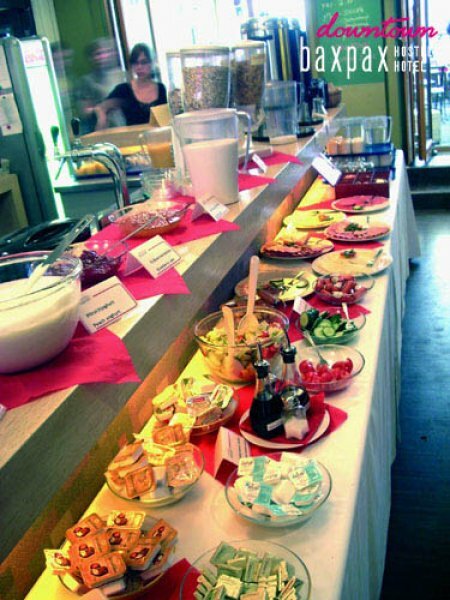 We have a bar/lounge/restaurant, all-you-can-eat breakfast buffet, free WiFi, free walking tours and free city maps. There is also a fabulous rooftop terrace with a great view of Berlin. 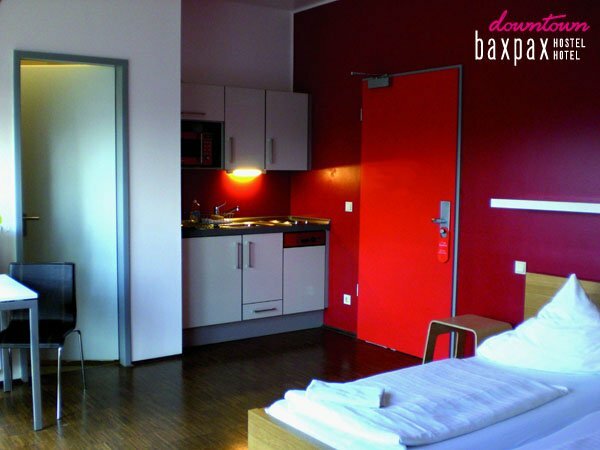 Baxpax Downtown Hostel Berlin has the character of a hostel with its friendly atmosphere and the service of a hotel thanks to its great fittings and facilities. Located next to the S-Bahn Station Friedrichstraße and next to the Friedrichstadt Palast it's the ideal place to start discovering Berlin. 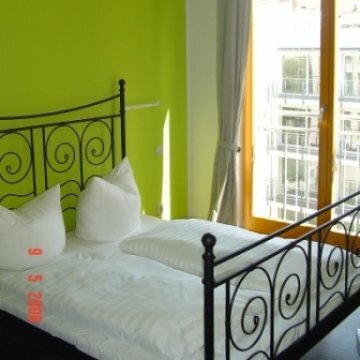 Private: single, double, triple, 2/3/4 bed studio. Dorm bed: 4/5/8 bed room (bookable as private room). Dorm bed: 16/24 bed room. Bed linens and towels are included in our single rooms, double rooms and studios. In all private and shared dorm rooms we charge €2.50 for linen and €2.10 for towels. This charge is compulsory and guests are not permitted to bring their own bed linens or sleeping bags. 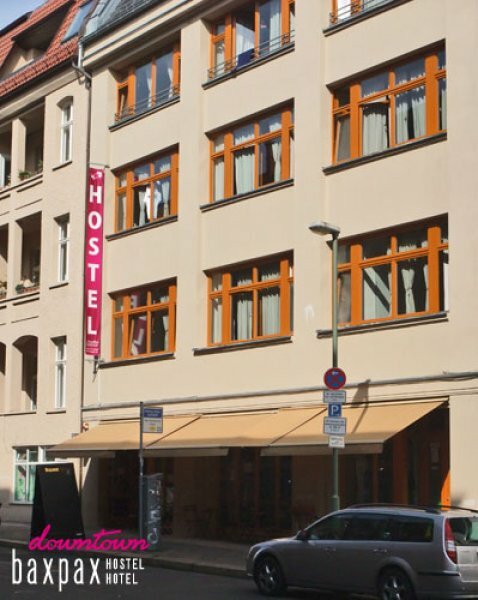 We are located right in the centre of Berlin, between the shopping area Friedrichstraße, Museums Island and the nightlife-area Oranienburger Straße with many bars, clubs and restaurants. It is a 10 min. walk to Brandenburg Gate, Potsdamer Platz and Alexanderplatz. Easy access to all public transport services: underground, tram, buses and the S-Bahn just around the corner. 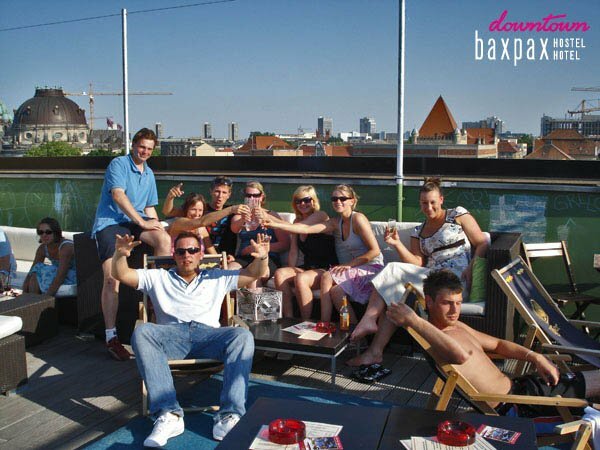 The centrally located Baxpax Downtown Hostel Hotel is easily accessible from all airports and train stations in Berlin. 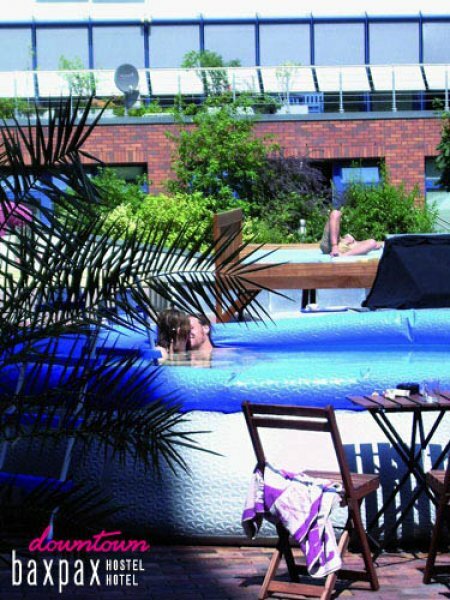 From our roof terrace you can enjoy an incredible view over Berlin which has a small pool during the summer. During the winter time you may enjoy our in-house sauna. 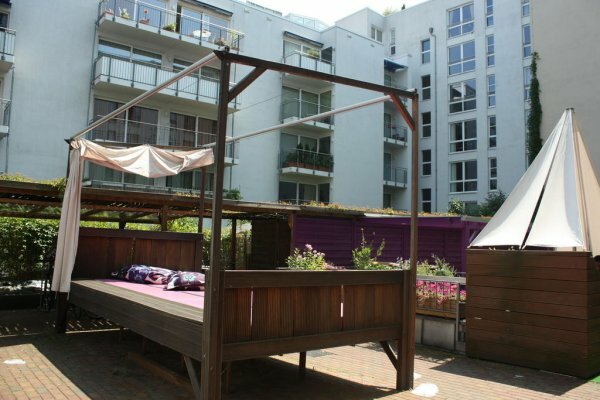 In summer you may lay down and chill out on Germany’s biggest hostel bed. In our Cosmo Lounge you can enjoy a yummy breakfast, a coffee during the afternoon and in the evening make friends from all over the world. The in house party club Optica is a well known venue in Berlin and welcomes international musicians and DJ's. Wheelchair access Limited wheelchair access (some common areas and/or some rooms). Other charges We would prefer payment in cash on arrival. When using a credit/debit card there is 1,00 € charge for every 100,00 € of the payment. There is nothing to complain about ;-) It's a nice place with basic clean rooms and a very central location. They have a rooftop terrace and it's cheap.